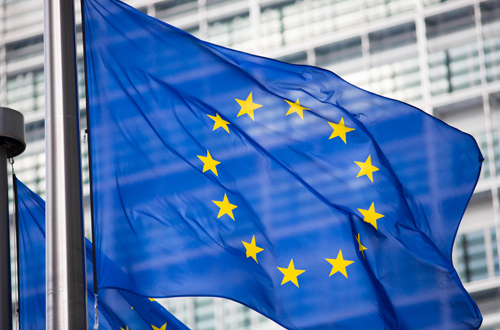 The European Commission has granted Pfizer's first-line breast cancer drug Ibrance marketing authorisation in Europe, making it the first new medicine to get to market in this setting in nearly 10 years. The first-in-class treatment was awarded Promising Innovative Medicine designation by the Medicines and Healthcare products Regulatory Agency (MHRA) in January last year, and shortly afterwards won FDA approval through its accelerated approval programme. An oral treatment option, Ibrance (palbociclib) has now been licensed in combination with endocrine therapy to treat hormone receptor positive, HER2-negative, locally advanced metastatic breast cancer. The CDK 4/6 inhibitor is designed to impede tumour cell growth and delay progression, and the drug has demonstrated significant improvements in efficacy beyond the standard care in the phase II PALOMA-1 and phase III PALOMA-2 and -3 trials. It increased progression-free survival from 14.5 months to 24.8 months when combined with Novartis' Femara (letrozole) compared to Femara alone, and from 4.6 months to 9.5 months when combined with AstraZeneca's Faslodex (fulvestrant) compared to Faslodex alone. The studies also showed a significant improvement in patients' quality of life when taking Ibrance in comparison with Faslodex. David Montgomery, oncology medical director at Pfizer UK, said: “Today's decision to grant marketing authorisation for palbociclib in combination with endocrine therapy is good news for patients. A number of metastatic breast cancer treatments have been rejected by the UK cost-effectiveness watchdog over the last few years, including GlaxoSmithKline's Tyverb (lapatinib) and Roche's Herceptin (trastuzumab), Avastin (bevacizumab) and Xeloda (capecitabine). Montgomery added: “NICE and the NHS need to take a pragmatic approach, showing more willingness to invest in transformative treatments like palbociclib.